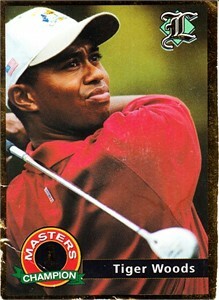 2001 Legends magazine golf card of Tiger Woods. 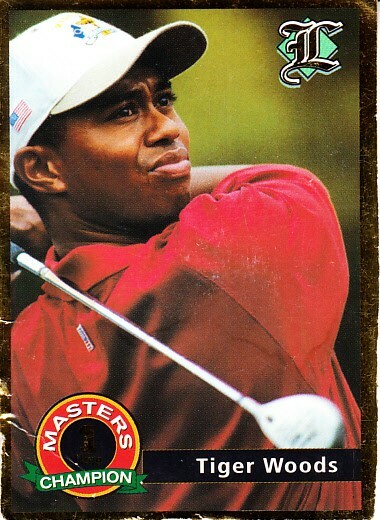 Poor/fair condition (creased and coffee stained on the back). ONLY ONE AVAILABLE FOR SALE.